Assassin’s Creed: Reflections continues it’s run with Master Templar Juhani Otso Bergn seeking clues to his current mystery in the past. Looking back to past events, our Master catches up with Darim Ibl-La’Ahad in 1229 China. Joining Darim is his father, Altair, in his quest to relieve Genghis Khan from the mortal coil. Khan had slaughtered many innocent people during his reign so this is what makes this attempt so justified in the eyes of the Brotherhood. I’ve enjoyed how the series has tied so well to history and that it’s possible that Genghis Khan might have had issues with the Assassins. The artwork is still excellent from issue 1 to issue 2, except I feel there were some space issues that could have been resolved. I want more clues what Bergn is actually searching for but it is nice he is getting little life lessons along the way. 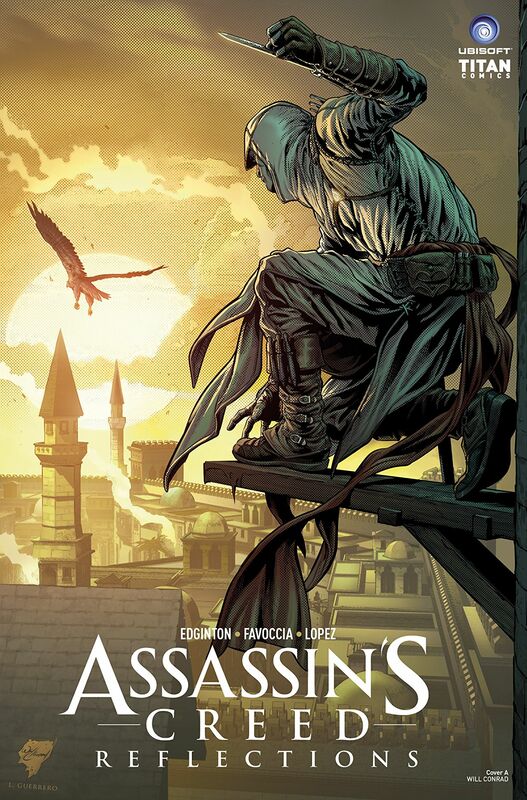 It’ll be interesting to see how they tie all the Assassins into actual history.